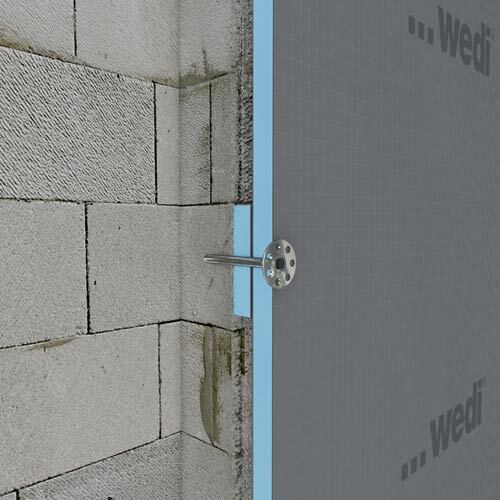 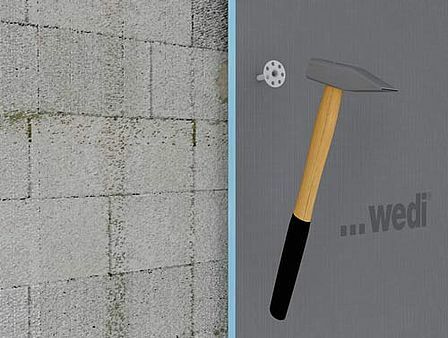 wedi building boards with a thickness of 20 mm or more are used on walls which are extremely uneven. 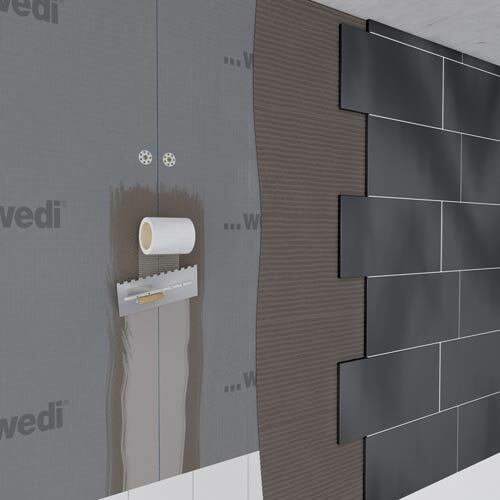 Regardless of how old and dilapidated the old substrate is, you can create clean, even walls which offer lasting protection against moisture and insulate the room too. 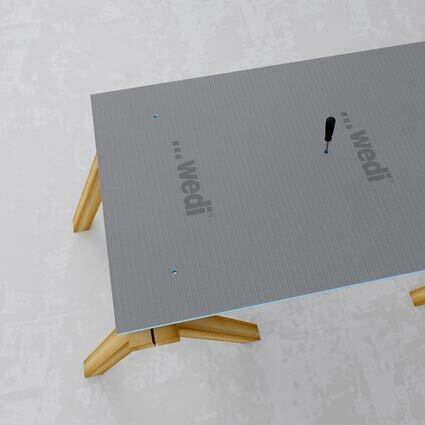 Step 1 Use a screwdriver to punch 8 holes (around 5 per sqm for ceramic tiles, increase to 8 per sqm for natural stone) in the wedi building board. 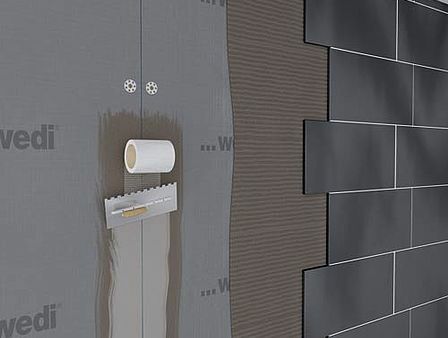 Step 2 Then apply dabs of flexible medium-bed mortar over hole markings. 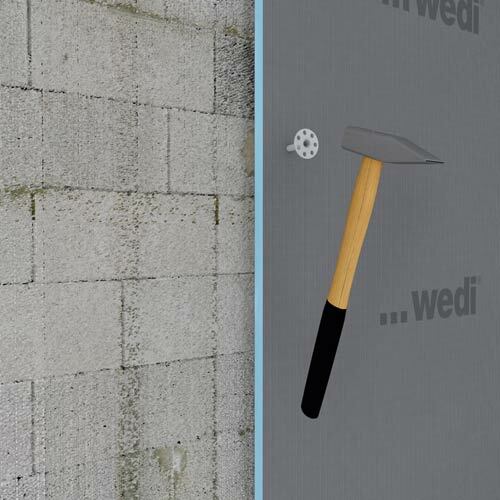 Step 3 Position the building board on the wall; tap it with a rubber hammer and align it. 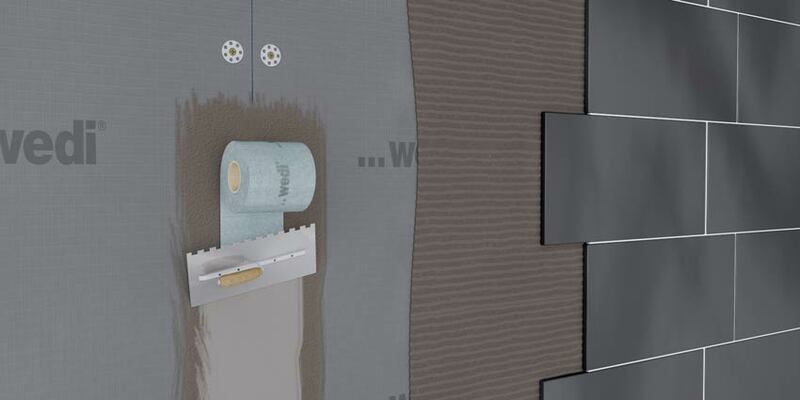 Then ,using a number 8 drill bit, drill through the board and the blobs of adhesive into the substrate behind. 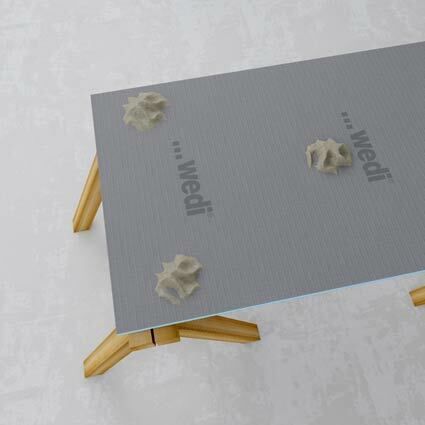 Step 4 Push wedi Tools dowels through the blobs of adhesive and into the pre-drilled holes but do not hammer them in until the blobs of adhesive have hardened. 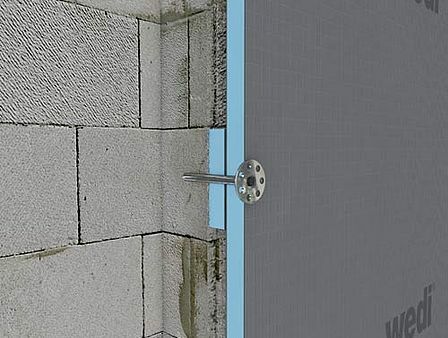 Step 5a The minimum dowel penetration depth in the load-bearing surface is 35 mm. Step 5b If the surface shows signs of excessive unevenness, the remaining parts of the building board can be used as lining. 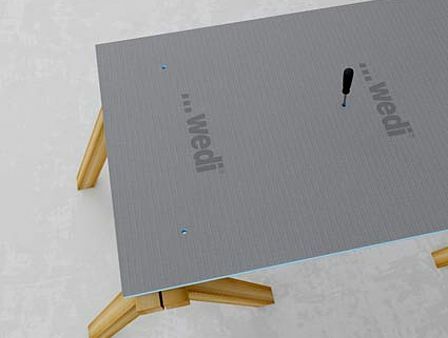 Step 6a Apply tile adhesive to all building board joints and insert the wedi Tools reinforcement tape. 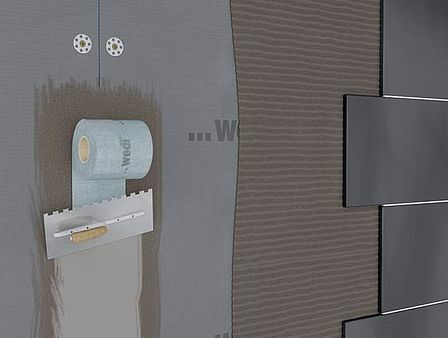 Then, design the surface as normal. 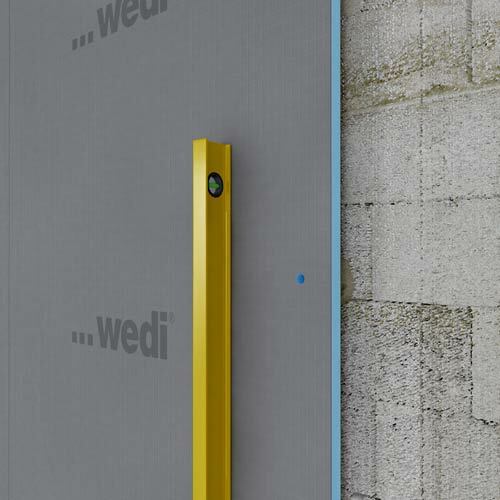 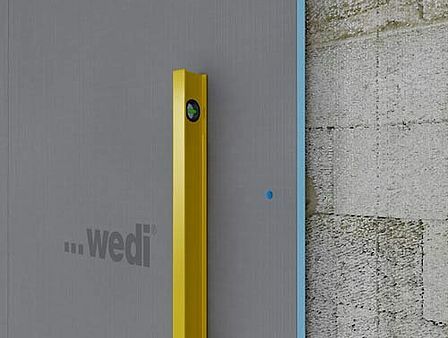 Alternatively, self-adhesive wedi Tools reinforcement fabric can also be used. 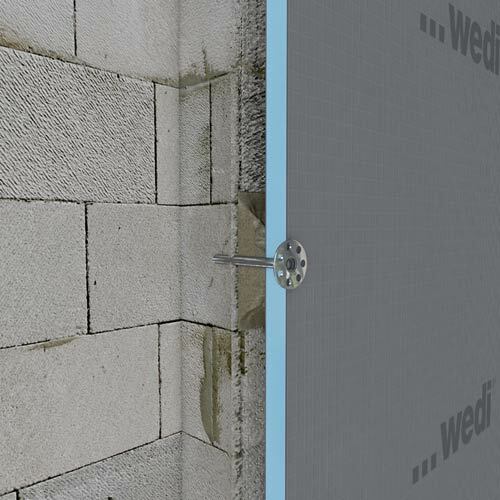 Step 6b For wet areas, joints and holes can alternatively be sealed with wedi Tools sealing tape and tile adhesive. 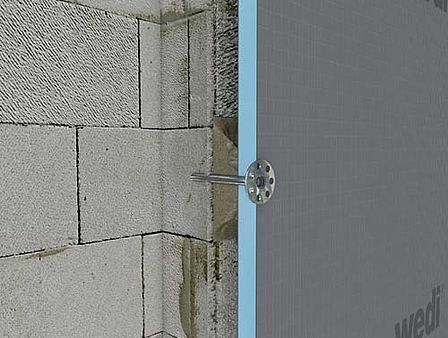 The clots of mortar may not exceed the allowed layer thickness of the mortar.